Like most parents with little kiddos, tonight I'm running around like a made women to get everything wrapped and prepped for tomorrow. We only have one thing to 'build' this year, but it happens to be a play kitchen - hopefully that wont take too long. For any of you that are so organised you have time to read blogs, then I have some lovely Emily de Molly spam for you. 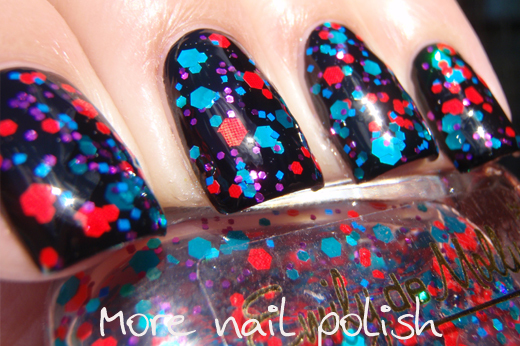 Sorry, no descriptions of the polishes, but you can read about them the Emily de Molly Etsy Store. 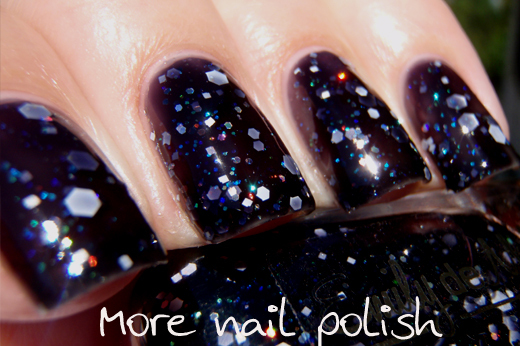 Bright Young Things - two thin coats over black with Seche Vite top coat. Fifth Element - three coats with Seche Vite top coat. Harmony - three coats with Seche Vite top coat. 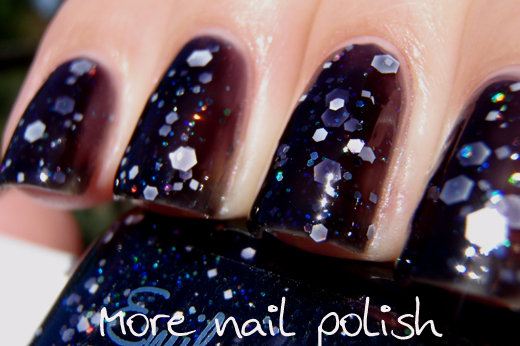 Insomnia - three coats with Seche Vite top coat. Simplicity - three coats with Seche Vite top coat. Love these swatches! I can't wait to use my bottle of Bright Young Things! It's stunning over black. I love all of these, but Insomnia is gorgeous! very pretty.. I love Bright Young Things over black. Very nice!